Watching the night sky light up with dancing flickers of green is a once-in-a-lifetime experience. 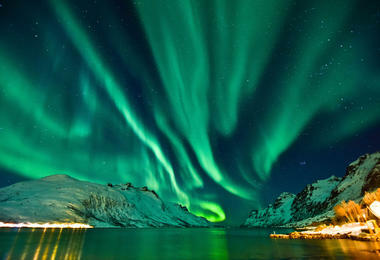 The Northern Lights are one of the world's greatest natural wonders and, as such, have fascinated us for centuries. 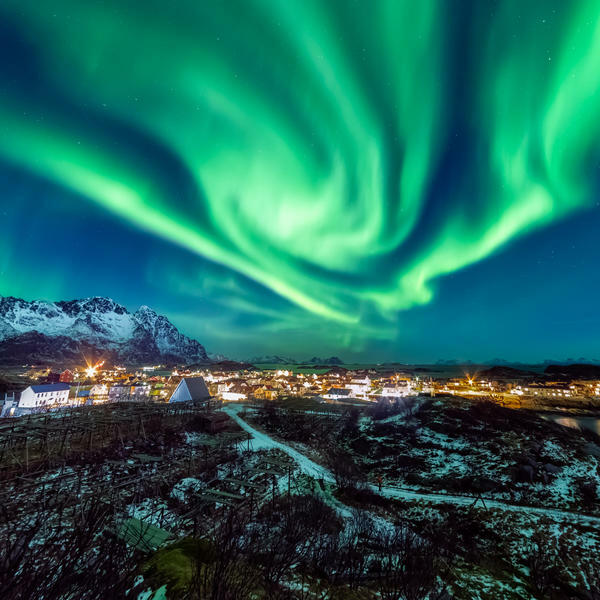 BBC Weather presenter Carol Kirkwood has always been intrigued by this "weather from outer space that lights up the night sky" and will be joining readers on this exclusive 12-day voyage beyond the Arctic Circle to see them. 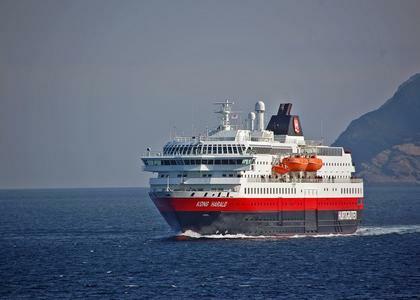 You will be sailing on MS Kong Harald, with our recommended travel partner Hurtigruten, the leading experts in voyages along the Norwegian fjords, whose stylish, modern ships combine Scandinavian décor with excellent on-board facilities. 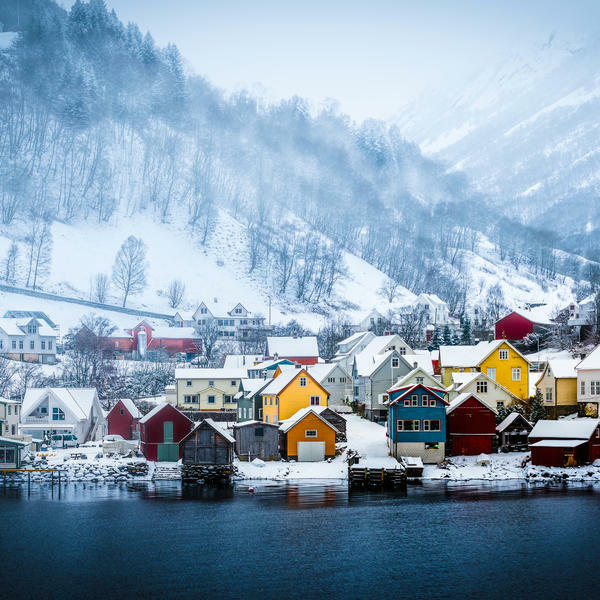 You'll discover the magnificent coastline, from the UNESCO World Heritage port of Bergen, up through the city of Tromsø, to the remote and beautiful Lofoten Islands and the North Cape, Europe's most northerly point, before sailing back via the ancient Viking trading post of Trondheim. 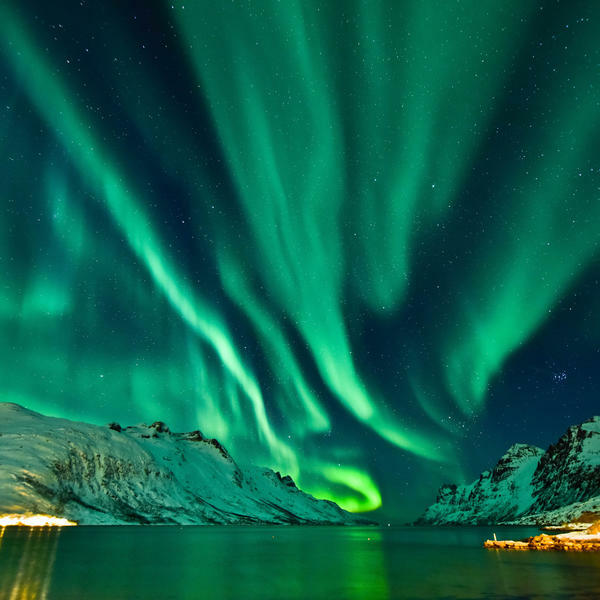 There will be plenty of opportunities to see the Aurora Borealis, with scientists on board to explain what causes this incredible natural phenomenon. In addition, Carol Kirkwood will give an exclusive talk and Q&A on her life and career as a meteorologist and weather presenter. Plus, you can choose to go on an additional Arctic excursion, including snowmobiling, husky sledding and sea eagle spotting, as well as take part in a traditional Viking feast**. Carol says: "As a meteorologist, I'm fascinated by the huge range of natural phenomena that weather systems can throw up, from the extraordinarily beautiful to the truly violent. 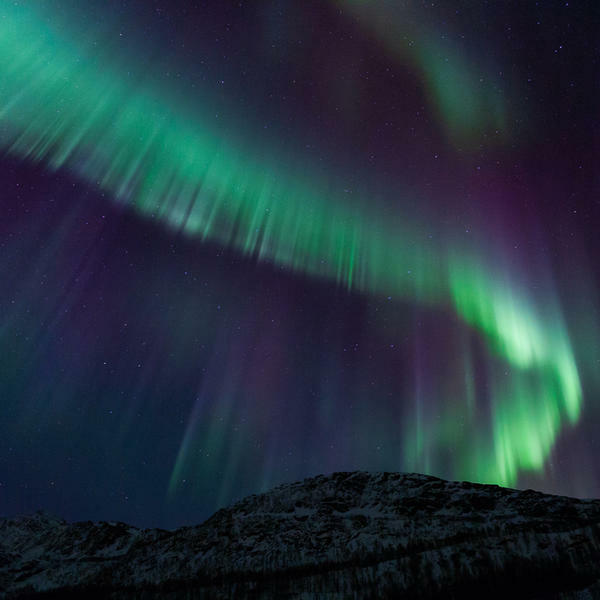 The Aurora Borealis are among the most stunning displays that can ever be viewed in our skies, and I have gone in search of them in the north of Scotland for a TV programme before, but without success." "This time, I'm determined to see one of the wonders of the natural world and will be delighted if you're there to see it with me." 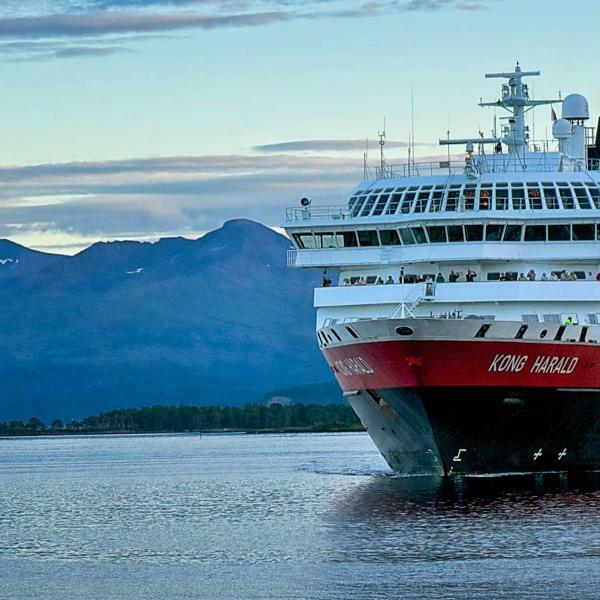 Hurtigruten are so confident that you will see the Northern Lights that they will let you sail again for free if you don't. This trip previously included an excursion to the SnowHotel with Carol Kirkwood. This excursion has now sold out and the price of the trip has been reduced accordingly (from £1999 to £1893 per person, based on two sharing). 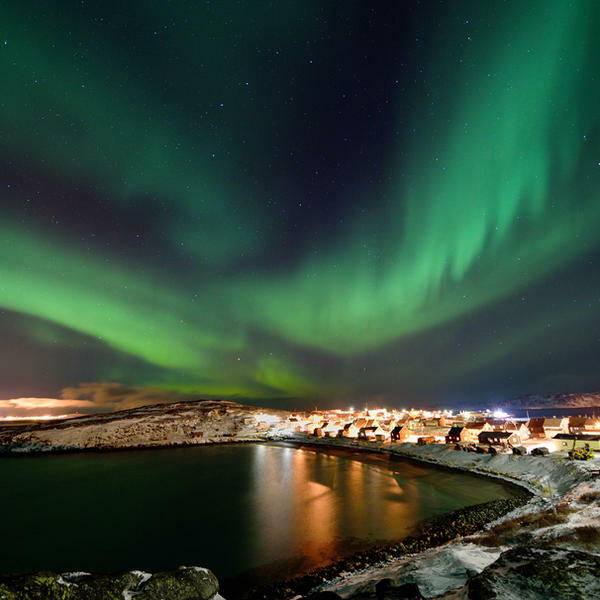 † Occurrences of the Northern Lights, which can last from between a few minutes to several hours, will be logged by the ship's officers and announced to all passengers on board. 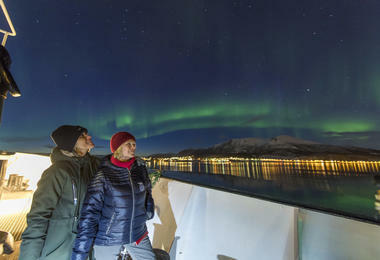 Click here for more details on Hurtigruten's Northern Lights promise. Previously this trip included an excursion to the SnowHotel with Carol but places on this excursion have now sold out. The price of the trip has been reduced accordingly. * Based on two sharing. Subject to availability. Single supplement from £2,894. **Supplements apply for optional upgrades, which have limited capacities & are booked on a first-come basis. This promotion is exclusive to Hearst. 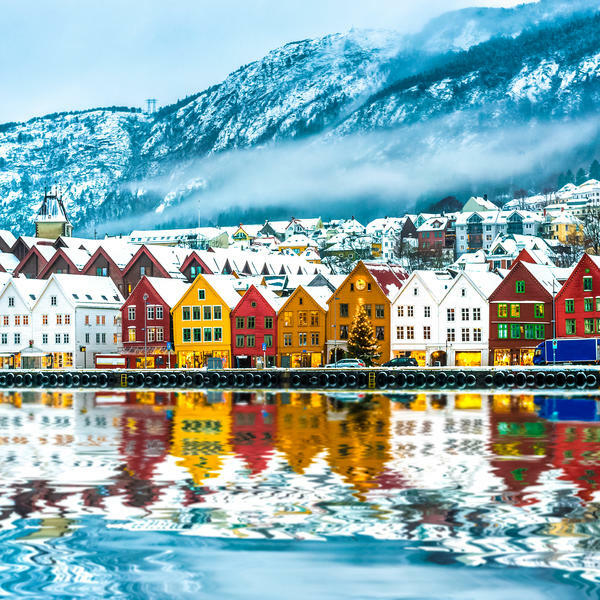 Fly to Bergen, Norway's historic port town, also known as 'the gateway to the fjords'. 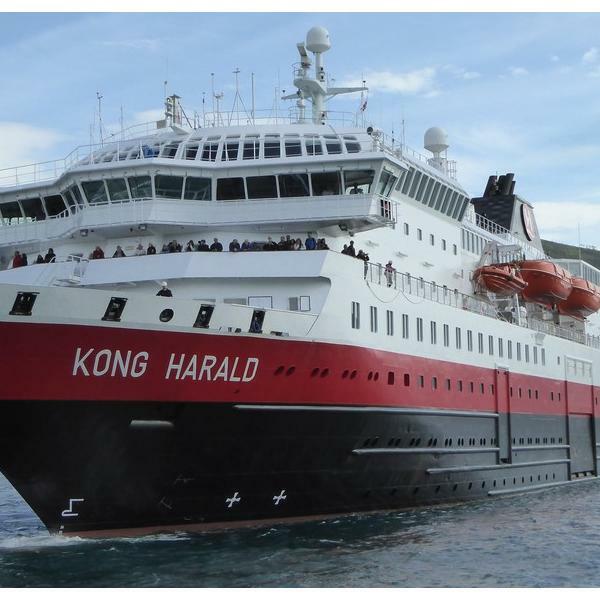 Here you'll board your fantastic ship, MS Kong Harald, and be welcomed with dinner and a talk from Hurtigruten's expert guides. 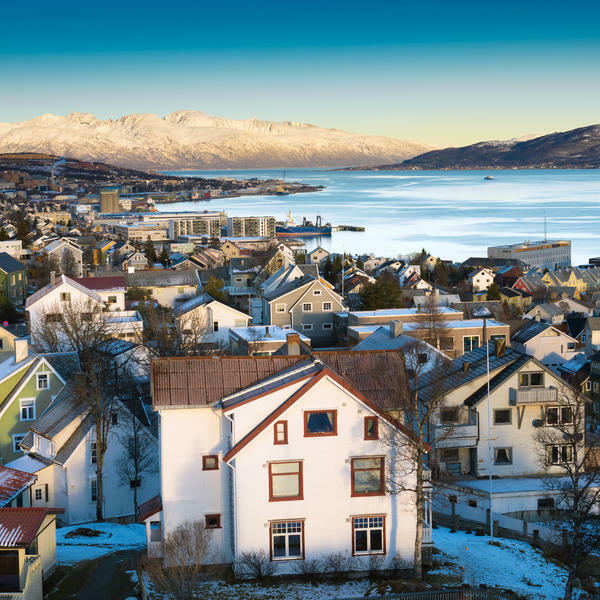 Discover art-deco Ålesund, the Norwegian city made up of seven islands. Crusising towards the Unesco-listed Geirangerfjord, you'll pass spectacular waterfalls and 800-metre cliffs. Spend the afternoon admiring Ålesund's famous architecture and taking part in a range of optional excursions. 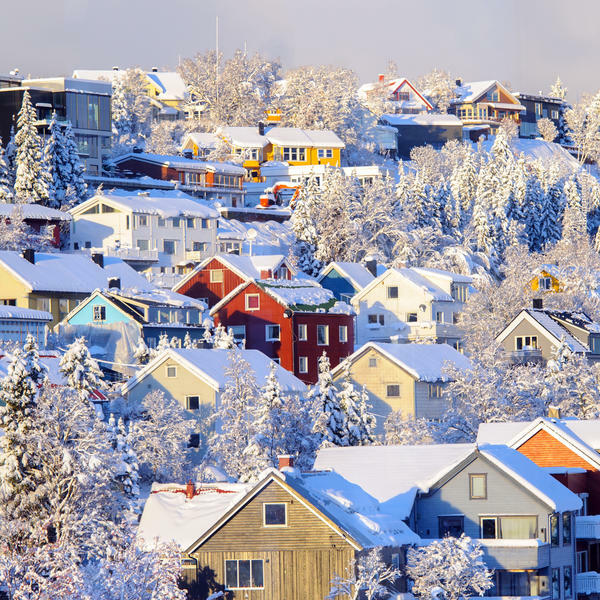 Journey north and visit the royal city of Trondheim, Norway's first capital, which originally established itself as a Viking trading post. 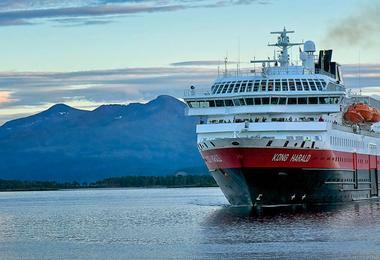 Crossing the Arctic Circle, you'll be surrounded by breathtaking scenery. Tonight, learn about the legends and the science behind the dancing northern lights. 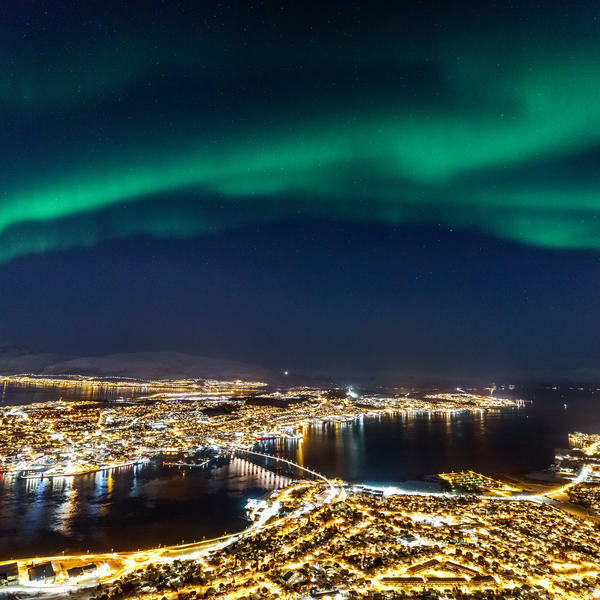 Explore the attraction town of Tromsø, one of the best places from which to spot the northern lights. Here there are a range of optional activities on offer, such as husky sledding and feeding bearded seals! Today you'll visit the North Cape, getting to know the real Arctic, the most northerly point of Europe. Enjoy a talk and Q&A tonight with meteorologist and Strictly contestant, Carol Kirkwood. 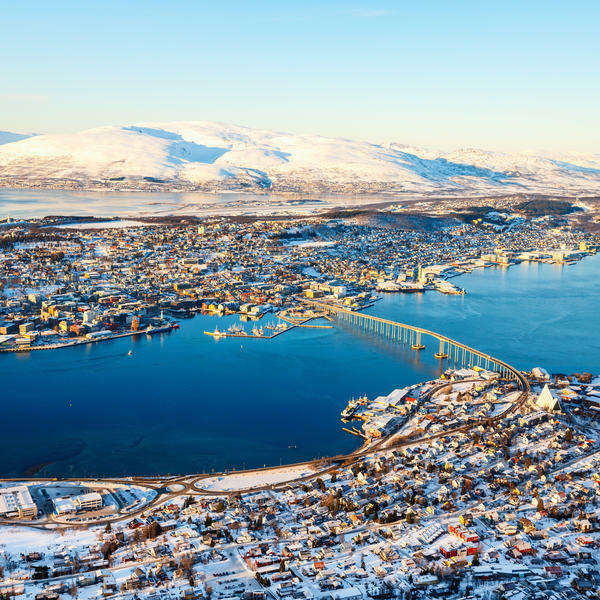 Explore Kirkenes independently today, taking part in optional activities such as husky sledding should you wish! Today will be a day to remember as you visit the famous Snowhotel Kirkenes, designed with fantastic snowsculptures and home to nearly 200 huskies. THIS EXCURSION HAS NOW SOLD OUT. THE PRICE OF THE CRUISE HAS BEEN REDUCED ACCORDINGLY. 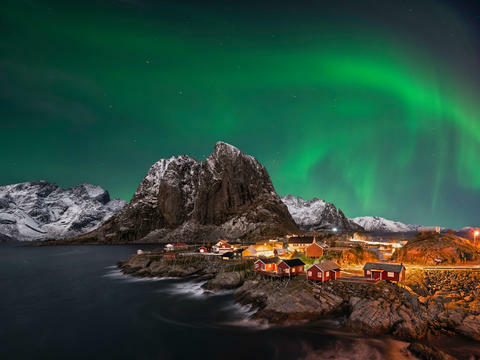 Explore the wild, natural beauty of the Lofoten Islands today, spotting wildlife and visiting deserted Arctic beaches and historic fishing villages. Sail back across the Arctic Circle, giving yourself another fantastic opportunity to spot the Aurora Borealis dancing in the night sky. 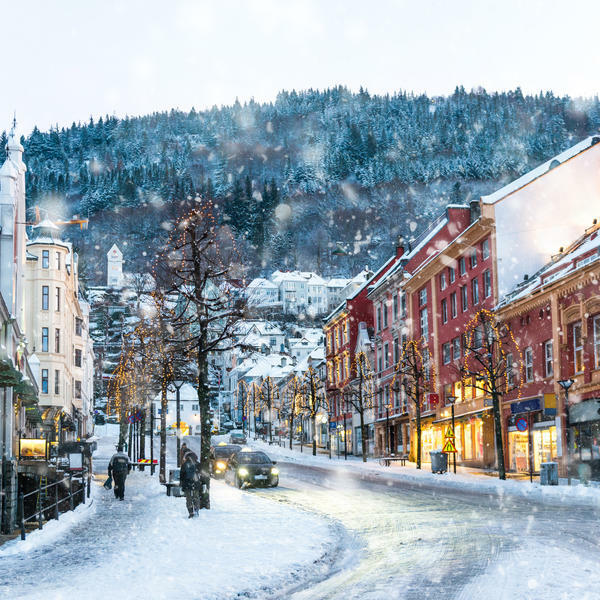 Explore the historic city of Trondheim, soaking up the Viking culture and finding out the myths that may have slipped passed you on your last visit. Tonight you'll enjoy a departing dinner of local delicacies. Your fantastic journey ends here with a transfer to the airport for your flight home. 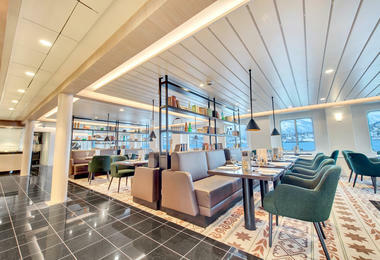 Refurbished in 2016, MS Kong Harald now features a modern, Arctic-inspired interior. Facilities include three different restaurants, the Multe bakery and ice cream bar, a sauna and a fitness room. 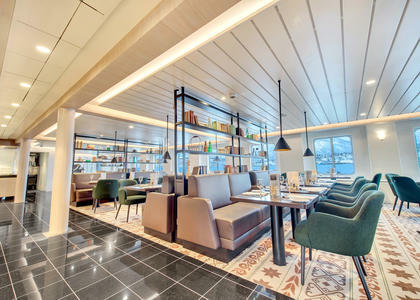 Out on deck you can marvel at the passing coastal scenery from one of two hot tubs, the sun deck, observation saloon or even the panorama lounge. A range of cabins are on offer including polar cabins, Arctic suites and Expedition suites.